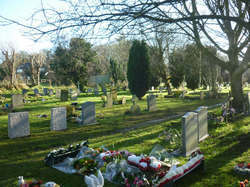 Obituaries - Faringdon Community Website. Aged 95 Joe passed away peacefully at home 21st October 2018. A father, grandfather, great grandfather and a great great grandfather, he will be missed by all of his family. Doreen was a kind and loving lady was a devoted wife to the late Michael Sharps , loving mother to Steve, David, Mark, Peter and Bev and a loving grandmother, great grandmother, and great great grand mother and is truly missed . - 'a true gentleman' - passed away at his home in Ferendune Court on 20 October. He had reached the age of 101 two weeks earlier, and died peacefully with his family, friends and carers around him. He was given a fitting send off on 14 November, which was attended by all his family; friends old and new; and staff and volunteers from the Bromsgrove Day Centre, where he had spent many happy hours. Jim's daughters Maureen (Grimwood) and Lynn (Pettit) would like to thank Jim's friends in Faringdon for their support and kindness at this sad time; and also for their generous donations to the Alzheimer's Society. Lived in Faringdon with her parents and went to Faringdon Community College, Exeter University, and latterly lived in Hampton, Richmond Surrey, with her husband and 2 children. She ran her own company. I hope that my 2 beautiful girls are at peace. Vi passed away on Sunday 26th June peacefully at St Luke's wing of the St Katharines care home in Wantage. An 102 year old lady with a kind and giving heart, she will be missed by her son Jim, grand daughter Kate and Chrissie, whom she loved and was loved in return dearly. It is with sad regret that my brother, Michael Macey sadly suddenly and unexpectedly passed away on the 5th May 2016 aged 65 years old. Michael used to live at Marlborough Gardens and went to Faringdon Primary school and then on to King Alfreds boys school in Wantage. Known by many through his work at Eagle Coaches and then Faringdon Motorparts, and via his affiliation with the Royal British Legion and many other groups and organisations in Faringdon over his 83 years. He is survived by his wife Freda, son Ivor and granddaughters Philippa and Elizabeth. From Stanford in the Vale, died peacefully. Will be greatly missed by his family and friends. Muriel, formerly of Maple Road, Faringdon, passed away at Rushden Park Nursing Home on Wednesday 15 October. Loving mother and grandmother. A much loved mother, grandmother and great grandmother who will be very sadly missed by all, died peacefully at home. She was a popular lady and well known in Faringdon often seen pushing a pram around the town when doing her shopping. Husband of Betty, Father of Shelly, brother of Eileen and Christine. A lovely Mum, Nan and Great Grandmother. Missed every day and loved forever. A larger-than-life character, and part of the fabric of Faringdon for many many years. Pete died in hospital in Salisbury, he had lived nr Devizes in recent years and is greatly missed by all his family and friends, old and new. Rod passed away peacefully at home after a long illness. The loving husband of Sue and father to Pete, Graham and Andrew who will be greatly missed by us all. A true gentleman if there ever was one. Much loved husband of the late Nora, loving father of Barbara and Patricia, devoted granddad and great granddad. Husband of Christine, father to Andy, Chris and Tim and a dear grandfather. He was a Faringdon Town Councillor for 14 years. Tragically killed in a motor accident. We have lost a very special lady when Joan Haste passed away on the 29th of June. She was a mother grandmother sister and a very special sister in law to me. Joan lived in Faringdon all of her life and will be sorely missed. Husband of Judy, father of Mark and Gary. Wife of Tommy and mother of Mary and Sandra, 6 grandchildren, 10 great grandchildren. Bill will be greatly missed by all of us. His Enthusiasm for life, combined with a Passion for his work, made Bill a unique character to know. He was the Ultimate Livestock Dealer, a Master of his trade. Bill Muir was more than just a man, he was an Institution! Design and Technology teacher, Advisor, Jazz lover. Husband of Jennifer, father of 4. In her childhood she lived in Kidlington, Faringdon and Hook Norton but spent all of her adult life in Faringdon. Wife of Donald, mother of Roger and Terry. Sadly missed by his loving daughters Teresa, Debra, Marcia and all his beautiful grandchildren. Wife Eileen and children Ray, Micky and Val. Much loved and Missed by her husband Bob and all her family and remembering Jean Lundregan who passed away May 2008 aged 47. We all spent Many Happy years in Faringdon. Vicar of All Saints Faringdon, and previously of Blackpool, St Helen's, Hensingham,Skelmersdale New Town. 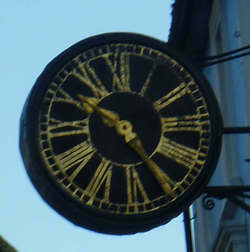 Founder member of Faringdon Association of Residents. A campaigner for Faringdon's swimming pool, and many other local initiatives. Dear Mother of Cyril & Harold & Albert who sadly passed away in 1999. Loving grandmother & Great Grandmother. Very sadly missed by us all. Lived in the house from the day it was built, (60+years) wife Chris, and father to 4. Daughter of Ivy and Rocky Stallard. Very much loved sister of Tony Chris Gloria Roger Mickey and Martin. Wife Christina, son Anthony and grandson. Born in Faringdon, wife of Albert, who died 7th May 1963. Father was a baker in London Street. Daughters, Anna, Elizabeth and Sonia. Married to her loving husband Ray, Auntie Margaret was born at Barcote Cottages and lived there all her life. They are both lovingly remembered and sadly missed. Born Watford, grew up Lightwater, Surrey. Teacher Girls' School, Secondary Modern School, Infants and Junior School till 1971. Member Congregational Church then Stanford URC. Robin lived in Faringdon from the early fifties. He was a long distant lorry driver a bus driver and worked with his wife Joan at Ferendune for many years. Originally lived in Southampton Street (house was demolished to make way for the building of The Lees) and then Pye Street. Worked as a cleaner at the Police Station for many years, both in Coach Lane and Marlborough Street. Affectionately known as 'Kate' by members of the force. Always gadding about meeting friends or going on day trips in her retirement years. Now at rest in Canada Lane Cemetery. Oldest boy of 15 Children. Married to Jean for 47 years. Was the head Gardener at Church House, Little Coxwell for many years. Father To Kevin, Janet and Andrew. Wife of Jim Horton, mother of Kate. Husband of Joan, father of Roger and Terry. Good night, God bless, We love you. just a short distance to Barcote Cottages. Uncle Ray was very proud to be a Dunkirk veteran. Married to Police Sergeant Fred Butler. Was librarian in Faringdon for many years. Father of John and Jane, granfather of Jeremy and Peter. Son Nicholas, grandsons Simon and Joe. Headmaster Faringdon Secondary Modern School, later known as Tollington and then Faringdon School 1958 - 1978. Much loved and missed by wife Ruth and children Vanessa and Trevor. Bet was raised in Kingston Winslow, Ashbury but lived in Faringdon after her marriage to her loving husband George. Member of WI for many years. Born in Faringdon. Baker in London Street. Soldier, Sportsman, Footballer, Horticulturalist and Amateur Rose Hybridiser. Town Councillor, regular churchgoer and deacon of the Congregational Church. Lay Preacher. Loved Faringdon and the surrounding countryside. Father of Joan(now deceased) and Bridget. Sadly missed by his granddaughter Patricia Holdway [nee Ebsworth]. Head Teacher of Faringdon Junior School 1959 -1976. Loving husband to Bet and father to Margaret. George lived in Faringdon all his life. Southampton St resident for 60 years. Wonderful old character of Faringdon. Scrap metal and Ragabone merchant. Very much loved by all his grandchildren. Hephzibah was the Great grandmother of my late husband John Cox. She was the wife of the Bailiff of Sand's Farm, Shellingford. She was a Strict Baptist. Born at Bradford on Avon, Wilts, died Longcot, Oxfordshire. My late husband John Cox's great- grandfather. He was the Farm Bailiff at Sands Farm, at Shellingford. He was a Strict Baptist. Born at Broughton Gifford, Wiltshire, died Faringdon. Click Contact us to send dates and commemoration of your loved one.